On November 09, 2016, 11:57:13 pm, Janus joined in the Nxt sphere by announcing their ICO on Nxtforum and Bitcointalk.org. 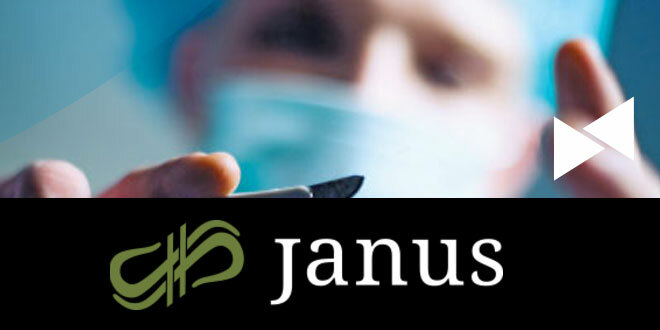 Up for sale were Janustokens, which are tokens that will represent revenue shares in Janus, a (soon to be legally registered, according to them) software and services company which plans on launching multiple businesses. The industries targeted are done so “specifically for maximum revenue with the lowest market share”. The Janus project is being launched by veteran blockchain enthusiasts with the aim of bootstrapping a number of initiatives under the umbrella of a parent company. As with any business, the goal of these initiatives is to become profitable and pay investors regular profit shares which exceed market rates of return on invested capital. Our vision is to create a software and services company which utilizes a common technology platform to rapidly implement distinctly branded projects targeting a number of carefully selected markets. We believe that this approach will allow us to decrease development costs and increase product quality which will enable us to establish successful businesses and generate substantial profits which will then be shared with the Janus token holders. The janustoken.com site takes investments paid with BTC, NXT, and most altcoins (via Shapeshift). The tokens are issued on the Nxt blockchain and will be distributed to investors after the ICO. Dividends will be sent to investors via the well-tested Nxt dividend mechanism, but in BTC, and directly into each investor’s BTC wallets. The countdown, profit sharing plan, roadmap, time line, and income generation business model, can all be found on the website and in the Janus white paper. Nxt Foundation acts as escrow, investors which contribute and hold the equivalent of more than 50BTC Janus tokens, will receive a seat on a Janus ‘Advisory Board’. What can actually go wrong? Nxt and the cryptocurrency scene have seen many sellers jump into our forums, promising “moon” and good ROI, and, I’m sorry to say, but we have a damn good reason to be reluctant. We’ve been victims of numerous scams. We’ve funded some of those good pitches and seen our money vanish. Janus coming out of the blue like a ninja, suddenly being all over the place, pitching, praising Nxt, posting walls of text and asking for funding, but without revealing much detail about their business models, could be either backed by relevant enthusiasm, good marketing, and natural protectionism of their unique business ideas, but on the other hand, it could also turn out to be nothing but “used car seller” tricks. That’s what I told Bjorn, the Director of Marketing of Janus, when I contacted him on nxtchat.slack, in their #janustoken channel, and proposed this interview, my first in a series of asset issuer interrogations. Bjorn agreed to do the interview and, after reading the questions, decided to let lobos, Janus’ director of technology, Robert Gasch, join in the conversation as well. Q: Bjorn, you have chosen to be anonymous. Why? Bjorn: Due to current employment and the country I live in, I’ll be anonymous until Q2 2017. I gave my passport to the Nxt Foundation though, that’s not a public fact but I’ll tell you that its encrypted and they have it. Q: Who did you send it to? Q: You’ve promised anonymity to tokenholders, yet Janus will become a registered company in Q1 2017, according to your roadmap. You have sought advice from “some legal experts”, you say, but “the finer details are still to be investigated”. Why would any government allow you to pay out dividends to anons? Bjorn: As a company most governments would not. To cover the majority of countries we are proposing to handle this in a way to reduce the generally imposed KYC that a company direct profit sharing would demand. For Janus token holders, the net profit will be distributed by one of the company co-owners as an individual and not as the company itself to allow those receiving profit sharing to retain anonymity. Lobos: After deliberation with the lawyers we asked, we would lean towards the option of transferring the profits which are to be paid out to a company executive who would then distribute them using blockchain technology, as a person. This would sidestep the issue of the company directly performing this profit distribution but also shift legal responsibility to the designated executive. (the last word on this subject has not been spoken yet; it turns out that this is a much more complicated question than we originally anticipated which also depends on the jurisdiction in which the company is formed). Q: You are working in the grey zone, I guess we can agree on that. What happens if regulations kick in? Lobos: If and when regulations kick in which make the above proposed (and any other reasonable) method impossible, we would at this point lean towards a buyback program. Q: A scenario could be that you would have to ask asset holders to give you their personal information. Message tokenholders via the blockchain and give them the choice to either hand over their personal details to you or sell their tokens (buyback option/sell on market). Then re-issue the Janustoken, on an Ardor KYC child chain in Q3 (if available by then) and distribute this new token to those who registered. Bjorn: If this becomes an available choice, and doesn’t impede the distribution of profit sharing it can be altered to accommodate KYC, yes. The buyback could very well be the easiest route in the event of severe legal implications. lobos: As a matter of fact, we believe that a buyback could be structured in such a way that it would take the place of the profit sharing. Q: The thing here is, it’s not only your ability to launch grow and run a business we have to trust with our money. It’s a promise that you can run a registered business and we can be anonymous investors. Would you close the business or ask us to provide our personal info if forced to make the choice? Bjorn: We would find an alternate method, more than likely what was proposed above and allow buyback options for Janus holders. There is always a way to protect users as long as everyone is willing to take the extra steps with us to do so. Q: I have sent a message to Luis and Robert on LinkedIn, asking them to confirm that they’re related to Janustoken and BetterBets.io, because they don’t mention it on their LinkedIn CV’s. Also, BetterBets’s “About Us” page does not mention any of you. Can you prove that the betterbets site is yours? In some cases, when new asset issuers have wanted to provide proof of their identity, they’ve made a small change to their existing website, for example the “About Us”-page. Could you do that? Bjorn: Yes we can. (it’s now added as of 5 minutes ago) Bottom right of the BetterBets.io landing page links directly to the Janus sale site and we have added this to the BetterBets about us page as you suggested. Ad2: I have received a DM from Robert and Luis via LinkedIn and they confirm their active involvement with BetterBets and the Janus project. Q: You’ve said that BetterBets is in the top 5 of BTC dice/casino sites. When googling betterbets, I haven’t found you on any top list. I found a 5/5 review though, with a referral link to your site. Bjorn: The google search would reveal paid ratings sites, we go by verifiable volume which is done by third parties such as www.dicesites.com. 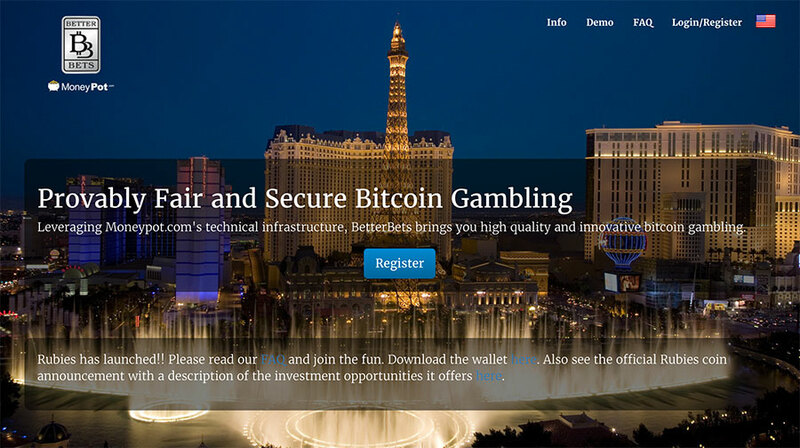 This site is and has been for years a true bitcoiner’s source for real casino data and provably fair thats been tested by the industry leaders who invented the methods used to calculate the provably fair methods used today. It’s an unpaid source and created by forum user NLnico who has been a long time community member to uphold security and proper business practices. He’s even done security work for Bitcointalk owner Theymos so this is not taken lightly when he approves a site for admission. The true top 5 sites changes often, one week we are #2 the next #7, the next #3 the next #10. This does vary but strictly averaged BetterBets is top 5. Lobos: If you factor the volume we processed on Bettebets (68k BTC) and take into account the fact that we only launched approx. 18 months ago, you will see that we have been quite successful when compared to some of the casinos which have been around for years. Q: Please elaborate on your success. You’ve moved around 47M dollars? Bjorn: This is correct at this date BetterBets has achieved : 68806.33 BTC in betting volume since opening in May 2015. This site (thebitcoinstrip.com) isn’t completely current but gives some backstory as well. Q: You’ve said that betterbets is a model of how the Janus project(s) will work (Janus will be a conglomerate of course, so there will be multiple companies, not just one, earning profits to Janus investors). Relevant to this (and to back you with trust), you’ve brought some of BetterBet’s early investors into the Nxtchat.slack. Bjorn: The stakeholder program we created was actually 40 total spots not 20 (I may have misspoke in chat) and investors were able to purchase each spot for 5 BTC apiece (200 BTC total). One group close to us purchased half (20 spots) to secure their portion of the revenue from BetterBets. This investment and profit sharing will end in Q1 2018 as we have stated to all stakeholders. Q: In the crypto investment space we’re used to new people dumping into IPO and ICO threads. They come with no backstory, yet they are all happy to buy into the project. Wouldn’t miss this opportunity for anything in the world. In other words, they are sockpuppets, accounts created to pump the ICO. You write that your investment offering to betterbets investors was minimum 5 BTC per slot, 20 slots in all. They sold out in 6 weeks. Q: Taking your word for it, 200 BTC was invested in betterbets within 6 weeks and everyone is on track to a full ROI in 4-6 months. Now, today with 1 day left of the 8% early investor bonus period for Janus, a total of 16.8 BTC has been raised, including NXT investments and new BTC investors. I can ask the aliases in Nxtchat why they haven’t invested (more?) yet, but do you have thoughts about this issue yourself? Bjorn: The only thing I can think of as to why some have not invested is really because we didn’t push investment into Janus on them, we showed them the details, the project and gave them insight as to what was coming but I didn’t direct sell it to any of them. My goal was to see if they had interest based on what we made public and decide for themselves. If I were to speculate I’d say some may not be in a position financially to invest, or are waiting until further into the token sale. Some previous stakeholders have invested. One is currently the largest investor in Janus up to this date. It’s impossible though to state exactly why, however, some of them are very busy or private and rarely even make contact as we have run a tight investment, and they probably never feel the need to enter the private slack we made available to them. Lobos: Some of our investors are quite private and hardly communicate with us. I think the general feeling for Janus is that a lot of people are sitting on the fence waiting to see how it develops (less in terms of the token sale itself, but with regards to how we are able to communicate the story and whether we are able to hold up to the scrutiny which has been coming out way). Also, with the token sale having a set time limit (and for now not being in any danger of being sold out) there is no rush for them to dive in. From a personal perspective, I can say that I’ve never been a fan of diving into an ICO early on). UPDATED: Due to a recent change of plans in Janus’ ICO and token distribution method (as announced on December 5th, 2016) some of the Q & A’s below are outdated. I have striked out the irrelevant parts. TL;DR: Keep your Janus tokens in a local Nxt account at the time dividends are sent. Dividends will (for now) be paid in NXT. You can read more about this and get the latest Janus insights here. Q: The Janus token is issued on the Nxt Asset Exchange (AE) and you will use the dividend mechanism for distribution of BTC (not SuperBTC) to BTC accounts. Can you elaborate on this? Bjorn: Janus exists on Nxt as a token and will be publicly traded on both the AE and traditional centralized exchanges. We have contacts in some exchanges and hope more will become available in time to allow greater platform trading. The method for receiving profit sharing will actually be executed outside the dividends feature, we will convert the Janus token site to allow all Janus holders present and future to create an account then input a BTC and their Janus/Nxt account addresses to receive their portion of profit sharing. It will be a simple verification of their Janus balance then sending BTC to the address users provide based on Janus amount owned. Q: Have to wrap my head around this; so only tokens which are held in a local Nxt wallet at the time of the verification snapshots and which have also been registered on the Janus site (to connect the Nxt account ID with a BTC address), will receive dividends. Token holders with Janus tokens on central exchanges (and Janus tokens bought on the Nxt AE but not registered on the Janus website) will not receive dividends. NOTE that the centralised exchanges could register their Janus token Nxt account on your website too and the exchange would receive the dividends. Bjorn: Correct anyone who chooses to purchase Janus and also wishes to receive dividends needs to register their account on our site and add a receiving BTC address, this does mean that anyone, exchanges included could do this. I have a feeling that in the event we get on larger exchanges they would be willing to credit user accounts the BTC from profit sharing out of fairness. I’m also sure some smaller exchanges would keep it for themselves, unless their users demand they credit traders accounts. In my humble opinion if profit sharing is significant people will have no issue using this method to reap the rewards of our work. Q: Would Janus keep the dividends for non-registered token holders or pay all dividends to the registered token holders at the time of the snapshot? Bjorn: We will pay all dividends out to those registered with Janus account and BTC address at the time of the snapshot. Q: You’ve mentioned that the Janus token may be incorporated into some of your future sites. Can you elaborate on this? Bjorn: One method to incorporate Janus on some of our sites will be similar to using a rewards model. Without a user having to understand anything technologically about blockchains, it’s very easy to allow ‘reward token’ (which would in fact be Janus tokens) to be used to redeem or send to other users on specific sites we are launching. The main focus when our team enables features of this nature is to reduce any of the thinking associated with new technology, the way it will be used may not even indicate that it is a Janus token by name, although the underlying fact is that it will be Janus and using Nxt/Ardor blockchain for accounting. Q: NXT price goes down. Will my Janus tokens lose value? Bjorn: Our speculative answer is no, Janus derives nearly all its value from our business sites (and announcements of), therefore it is almost independent of any platform in regards to inherent value. Q: Nxt Foundation gets 5% for acting as escrows. When will they release the funds? Bjorn: The Nxt Foundation will release funds when all Janus tokens have been credited to the accounts from all participating people in the token sale and all bounties and associated rewards have been paid to participants. Q: If they release funds after you’ve distributed the tokens to investors, how does this guarantee that you won’t run away with the funds? The AE token cost you 1000 NXT to issue, it would make you a very decent ROI. Bjorn: We only have our reputations and word to guarantee this, we have a running blockchain based business that people depend on currently to do well, it could be used as leverage were we to run away. Also our core team for Janus 2 of 3 are now public, and Robert is co-owner of everything we do. Lobos: I have been a professional software developer for 25 years and have worked on quite a number of enterprise-grade and mission critical projects. My work record is impeccable and no matter what happens to the token sale, I intend to emerge with my reputation intact; if for some reason this won’t be the case, it will severely impact my future employment prospects which is not something I am willing to risk. Q: Nxt is controlled by a dictator doing hardfork attacks all the time. It’s a proven fact. What will you do when Nxt API changes and your services break? Bjorn: Our primary goal for all holders of Janus is security and longevity with the means to track users tokens held to deliver proper profit sharing percentages. We will adapt or use any platform necessary to carry this out, Nxt was chosen specifically for it’s secure and proven track record though. Janus will adapt if needed to any threats. Lobos: One of the reasons we are donating 5% of token sale proceeds is that we wish to help put the Nxt foundation into a position which will enable it to continue the stewardship of the Nxt blockchain and its associated technologies. Q: It isn’t guaranteed that Ardor will launch. Might be vaporware. Are you going to stick with old Nxt when Ardor doesn’t happen but other fancy fast scalable blockchain 3.0 solutions launch? Bjorn: The best part of Janus is really the fact that platform choice is more of a convenience than mandatory, profit sharing is delivered in Bitcoin, and using Nxt currently to track Janus tokens per account. If at any point a new method to track distribution of Janus owned is needed, we will make this happen, even if it means launching our own private blockchain. We personally hope this never happens, because one of the great things about Nxt/Ardor is the developers and foundation. They put so much of their time and lives into the Nxt platform, thus allowing groups like the Janus team to focus on the use of their hard work and efforts. Our team believes in using the tools available to achieve success, this is why our focus is on business and not trying to advance a technology that’s already a decade ahead of mainstream adoption. Lobos: We can only re-iterate that Janus is not a blockchain technology play but a business play. The underlying blockchain technology is actually quite irrelevant to us as long as it is actively maintained and supported. NXT has an impressive track record in this regard which is the primary reason why we chose it as technology base for Janus. Q: Look at the Waves ICO. No code but pretty pix and promises at the time. It made them 16M USD equivalent. People like GUIs. It’s the same with Komodo. grewal posts screenshots of an easyDEX GUI and the crowd goes wild. Could we ask Janus for something to look at? A screenshot of the GUI from one of your promising projects. You plan to launch a business in Q2, you must have something. As long as it doesn’t give away some “secret”, could we have a look? Bjorn: Yes, and we plan to show at the bare minimum, some of the things our framework for sites to come looks like. Including projects already using some of this in the wild now. Lobos: Having been a software engineer for 25 years, I can not stand to simply push out code which just happens to work and is a complete mess. As such, one of the things I have done is to develop a framework which allows for a modular codebase and avoids the mess that monolithic codebases tend to become over time. The first public site implementation based upon this framework is actually the Janustoken.com site. In addition to this, I have developed and own the copyright to code which can be used to implement Realty and eCommerce sites. This code has been implemented over the course of many years and has evolved to handle complex business logic while retaining its flexibility. Unfortunately the code has been written for a legacy architecture and needs to be refactored to properly fit into our new framework, but refactoring a codebase is many times easier than writing one from scratch, especially so if you can preserve the business logic which has evolved over the course of many implementations. As a final point: over the past three to four years I have mostly been busy working on contract basis, mostly utilizing proprietary frameworks for large-scale customers. I can point to sites such as https://ice.com , http://vulkan.com, https://www.worldshop.eu and many others that I’ve helped implement. The most active site running an ancient version of my realty package is http://www.lrossa.com, a major booking engine for the region of Istra in Croatia. Ad3: I have checked to my satisfaction that lobos (Robert) has been involved with the development of the sites mentioned above. On December 5th, the Janus Team decided to stop the ICO and return all funds raised to their investors. Read details about the refund HERE. Dividends are being paid monthly, 90% $NXT from BetterBets.io | 10% $ETC from https://etcbets.com, and their planned businesses are being built, the roadmap is being followed. Disclaimer: This post is for general information and news purposes only. It does not take into account the reader’s personal circumstances, objectives, or attitude towards risk. It is not (and is not intended to be) any form of advice, recommendation, representation, or endorsement by the author or the website owner and should not be relied upon when making (or refraining from making) any investment decision. Forkpay.net – the imminent future of altcoin payments? Forkpay.net has just released its first browser extension, making it extremely easy for anyone to make payments with altcoins anywhere Bitcoin is accepted. But take a deeper look at the new startup and what’s going on around it, and you will see that Forkpay has a lot more to offer. Indeed, Forkpay could very well become one of the stepping stones needed for cryptocurrencies and blockchain based tokens to achieve global adoption. Altcoins improve on Bitcoin and add features to what is still the King of Crypto. For example, BitcoinDark and Dash offer anonymity features. Litecoin is the best-known fork, with faster block times than Bitcoin and a different mining algorithm (scrypt), just like DOGE. By contrast, Nxt uses PoS and offers, besides a payment system using its monetary unit NXT, a whole financial ecosystem of features. Still, no coin has yet reached anywhere near the degree of adoption that Bitcoin has. Even though Bitcoin is based on old and (arguably) no longer bold code and the growth of both the Bitcoin blockchain and difficulty of mining has meant more centralisation in the Bitcoin network, Bitcoin’s dominant network effect means that it continues to reign supreme (at least for the time being). There are already lots of places in which to spend Bitcoin. From small private retailers, like ititch.com (anonymous domain registration and hosting), to larger ventures like Gyft, Overstock, Amazon and Virgin Galactic. They all see the potential of blockchain-based currencies and regard themselves as first movers in the developing cryptocurrency-fuelled economy. So, if you want your own particular altcoin accepted in stores, you have to get out there and start knocking on doors. At least, that is, up till now. With the Forkpay plugin, which is available as a Chrome extension, and soon to be released for Firefox, you can now visit any online merchant that accepts Bitcoin and pay for goods with your favorite altcoin, starting with LiteCoin, PeerCoin, DOGE, NXT, BitcoinDark, and Dash. UPDATE: The Forkpay Firefox plugin is now awaiting approval from the Firefox webstore. As soon as it is available, the Forkpay ICO at NXT asset exchange will be complete, and the project will be officially launched. ForkPay.net is very easy to use: When the extension is installed, every time a Bitcoin address is shown on a site, you will see a Fork logo next to it. To pay with alts, you simply click the fork, choose your coin from the dropdown menu, and make the payment. Forkpay.net converts your altcoins on the fly, and you don’t have to go through any registration process. Forkpay.net wants to become “the most versatile payment solution for cryptocurrency merchants”, so this is just the beginning. The Lithuanian-based startup has further plans in the pipeline, which are in the process of being coded even as I write this. Download the free Forkpay Chrome extension from the Google Chrome Webshop. There are several players already in the crypto merchant solution field, but where Forkpay.net stands out from the rest is by bringing a BTC > altcoin exchange to the merchant sites (using Coinomat Instant Crypto Exchange’s API), so altcoin users can buy goods, even if the merchant doesn’t accept their altcoin. It’s certainly a problem solver. But will it be enough on its own to enable Forkpay.net to take a significant market share and succeed as a business? The current volatile monetary value of Bit- and alt-coins is one of the most significant factors preventing wider adoption; many people, understandably, are hesitant to use a unit of monetary value as a means of payment which they cannot depend upon to be as least as good at storing value as their fiat money. The price of BTC goes up, goes down, and it goes up again – or further down, and because its market cap changes rapidly, investors move in and out of the market, and yes, speculators also try to make huge profits on exchanges, by running pump and dump schemes. The race is therefore on to solve the riddle: How to create pegged or ‘stable’ cryptocurrencies? Front-runners include the Nxt platform which, via its Monetary System, now supports the creation of peggable currencies, albeit none have yet been created so it’s not yet known how successful this solution will be in practice. Another solution provided by the Nxt platform is the Nxt Asset Exchange where you’ll find fiat-pegged assets like CoinoUSD, CoinoEUR, as well as YAN-pegged assets. Other cryptocurrencies are also in the race to reach the same goal. One of the truly exciting projects still in the pipeline is PAX, a fully decentralized way to peg crypto to anything, which is currently being developed, along with other supporting features, by SuperNET + BitcoinDark lead developer: jl777. But how hard would it be in practice to integrate such solutions with ForkPay? I asked the people behind Coinomat, the crypto exchange responsible for the API that Forkpay uses, and who also happen to be the issuer of CoinoUSD and CoinoEUR on the Nxt AE. Their answer was clear and to the point. We’ll do it very soon, also MS [Nxt Monetary System coins] will be integrated. Now, as already mentioned, Forkpay makes it extremely easy for anyone who owns and wants to spend altcoins anywhere Bitcoin is accepted. A fine business idea, and it sure works like a breeze. But… Will this ever become a truly useful service for the everyday consumer who doesn’t mine altcoins, or who doesn’t just happen to hold a bag of DOGE, BitcoinDark or NXT crypto 2.0 tokens? paying credit card bills with Forkpay in crypto. Exchange USD to CoinoUSD, or EUR to CoinoEUR. It’s easy. Your fiat money will not lose value as the Coino assets are pegged to the fiat value. You earn interest (0.06% daily at the moment, which is 24% per year) just by holding your Coino assets in your safe and personal Nxt wallet. Now that’s a quite a bit more than my bank offers me and no doubt what yours offers you. No registration required and you can withdraw to any VISA/Mastercard whenever you want. This is the blockchain 2.0 which secures all your fiat pegged assets as well as, of course, your NXT (the Nxt platform’s monetary unit). This is your money. You own it. Absolutely. Moreover, being secured by Nxt’s decentralized network, it’s 100% safe. By contrast, when you deposit ‘your money’ in a bank account you are by law deemed to be lending that money to the bank. You are in effect, an unsecured creditor of the bank and ‘your money’ is therefore not safe. You can send or receive any amount of assets, NXT or Nxt MS coins for a fee of 1 NXT. This currently equals €0.01, the amount and destination don’t matter. In comparison, according to the World Bank, sending remittances around the world using the banking system costs an average of 7.37 percent of the amount sent. All in all, cross-border transactions are expected to reach $608 billion in 2015. Now that’s a lot of fees to save. With your funds in the Nxt blockchain, you can also use all the core and 3rd party features in the Nxt network. The decentralized global p2p marketplace. Issue tokens. Invest in promising real world ventures on AE. Play games. Upload data. Torrents. Build a business, crowdfund it. 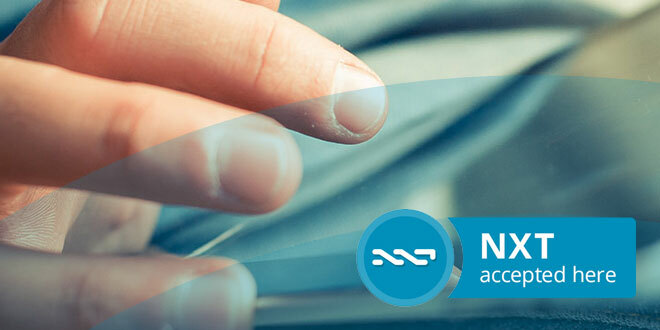 Keep assets, Bitcoin, altcoins and your investments right there in the same wallet, using Nxt Multigateway features. Go shopping. Pay with NXT (or any of the other integrated altcoins). Buy goods anywhere Bitcoin is accepted, using the browser extension. If you’re a merchant, use Forkpay to set up your merchant crypto payment solution. Direct payments with your fiat-pegged crypto assets (USD/EUR/etc). Very soon. Why? Forkpay’s exchange rate does not exceed 3%. With Paypal the standard rate for receiving payments for goods and services is 3.9% + fixed fee, and for payments across borders, it’s up to 5.99% + a fixed fee. You can share profits with Forkpay by participating in their ICO currently taking place on the Nxt AE. Forkpay.net is going to follow the standard start-up cycle. This first asset issue is the seed stage investment. Forkpay.net is going to approach venture funds for a second round investment or buy-out in future at which stage asset holders will be able to make an exit or exchange the assets for the ‘real’ equity. This is going to be an experiment with classical seed stage investment made on the Nxt platform. Forkpay’s revenue model is based on transaction fees. 50% of the profits will be paid out to shareholders. To learn more about how to use the Nxt Asset Exchange, read this AE tutorial. This article is for general information and news purposes only. It does not take into account readers’ personal circumstances or investment objectives. As with any investment, readers should carry out their own due diligence research before making (or refraining from making) any investment decision. SuperNET, Cyberspace – BTCOR Group Investment, the first NXT asset to utilize NXT’s revolutionary Monetary System technology, has announced the members of its diversely talented and respected team and also its business plan, which details the asset’s complex structure and core principles. BTCOR and its SERIES VENTURE wealth storage facilities allow for holding/storing value in the form of ASSETS, GOLD, SILVER, BITCOIN and the US DOLLAR. BTCOR is the parent asset and is the simplest choice for investment. Funds received through sales of the BTCOR asset will be used to generate value for shareholders by investing primarily in SuperNET’s technology, core coins, and assets and by seizing any other opportunities the Executive Board may deem advantageous. Any dividends received by assets held in the BTCOR Treasury will be redistributed proportionately to BTCOR shareholders on a monthly basis. The SERIES VENTURES https://www.btcor.co/btcor-assets/ are a group of assets subsidiary to BTCOR that provides storage of wealth for shareholders. As investors purchase shares in a SERIES VENTURE asset, the investment is converted into its respective class while maintaining the best available current exchange rate. All of these balances are held in the BTCOR Treasury and represent the inherent wealth of BTCOR and SERIES VENTURE shareholders. The SERIES VENTURE portion of the Treasury is never used, transferred or manipulated in any way and these holdings remain stationary until shareholders vote otherwise. Working alongside these wealth storage facilities are interest-generating vehicles fueled by profit-driven speculation. We have deployed a number of vehicles that enable the speculator to make a speculative investment on the current markets of gold, silver, bitcoin, and foreign exchange (FOREX) using the NXT Monetary System. A skilled Operator is responsible for trading with funds obtained monthly via the NXT Monetary System and makes puts and calls at the Operator’s sole discretion. The Operator is constantly under review by the Executive Board and subject to redundancy at any time. The Operator must have a minimum of one (1) BTC stake in each trading vehicle to ensure honest and well-planned trading is practiced. Profits from these activities are distributed to BTCOR and SERIES VENTURE shareholders on a monthly basis. This dynamic provides an incentive to save via the SERIES VENTURE facilities, while limiting the exposure of the saver to the inherent risks. BTCOR promotes a profit-for-change paradigm. In the face of today’s economic, social, and environmental inequality, we at BTCOR believe it is imperative that revenue should not only lead to increased financial independence, but that it should also be used to promote access to truthful information, conscious acts of philanthropy and charity. By working smarter, not harder, we can leverage our funds to promote and embody the change we’d like to see in the world. A certain percentage of monthly revenues are already being allocated towards a charity fund. As we grow and succeed, we will continue to implement projects and programs that function to manifest this paradigm. The BTCOR team consists of thoughtfully appointed shareholders and community members that collectively represent the talents and abilities required of the Group’s Senior Executives and Executive Board, which oversee and manage BTCOR operations such that shareholder profit is maximized in adherence to the Group’s mission statement and core principles. Of particular significance is the appointment of pnoch as Lead Developer. He is a very talented and respected developer who is already working with the Chief Systems Engineer to develop proprietary technology designed to enhance efficiency and transparency of BTCOR operations for its shareholders. The Lead Developer may also be tasked with creating or implementing advanced automated trading software designed to trade FOREX markets and maximize shareholder revenues. For more information on the BTCOR Group Investment, please visit btcor.co, follow @BTCORsupport on Twitter, and join the #btcor channel at SuperNET Slack.